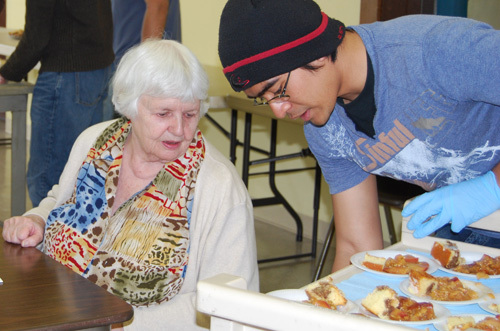 Sandy Yudhistira '12 serves a local senior citizen a tasty treat at the annual International Dessert Fair April 2 at the Senior Center in Middletown. 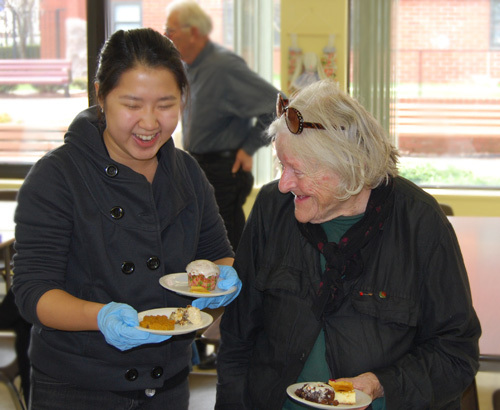 From left, Melina Aguilar '10, Jenny Lo '10, Joyous Bey '12, and Sandy Yudhistira '12 prepare dessert plates inside the Senior Center's kitchen. 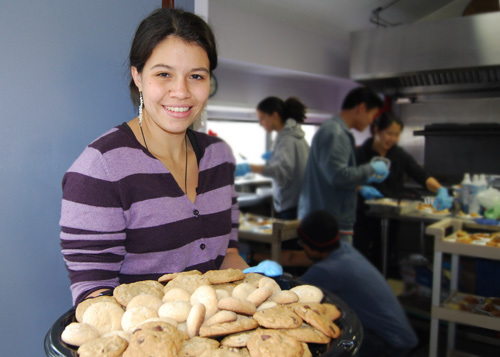 Under the direction of Wesleyan's Center for Community Partnerships, the students baked or cooked their own desserts, or asked area eateries to donate desserts for the event. Melina Aguilar '10 organized the student staff. 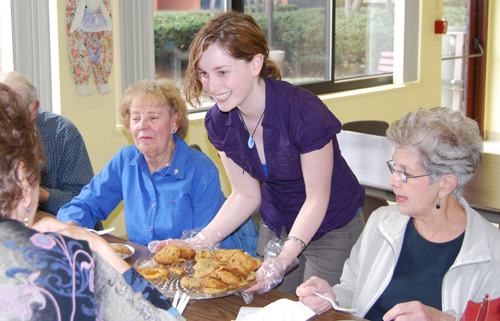 Leslie Pyne '12 offers cookes and muffins to a table of senior citizens. 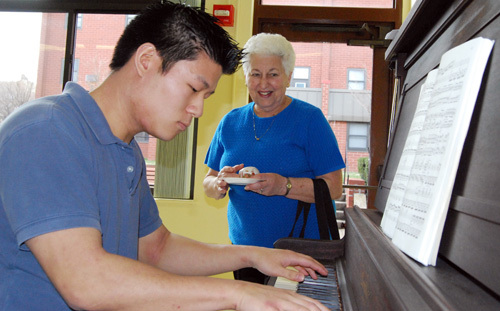 Jenny Lo '10 speaks with a senior citizen at the International Dessert Buffet. 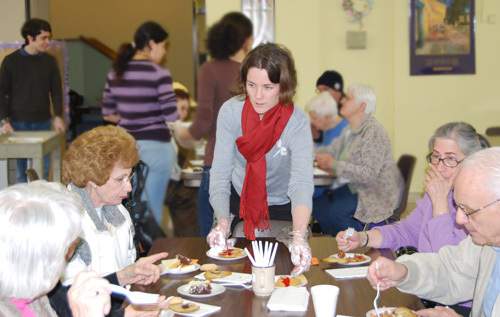 Cathy Crimmins Lechowicz, director of community service and volunteerism, serves a group of seniors as students in the background prepare the plates.